The CURRENT WAIT time right for a custom bed order to be built is now about 30 DAYS AND the TURN AROUND TIME of CUSTOM ORDERS is 45 DAYS from the DATE OF ORDER.This means get your order in now, and it will be done in 30-45 days. For more pictures visit my Facebook webpage. Get in line now or just grumble. My work speaks for itself. Ask anyone of the 16K+ Followers on my Facebook page. Thanks for your patience and understanding. All items are hand made which takes time. If you are looking for something quick and cheap, you are at the wrong place. "Good is not Cheap and Cheap is not Good." 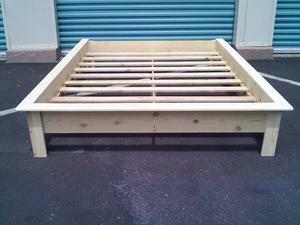 Choose a Platform Bed Frame Size. *This is the BASE PRICE of your Platform Bed Order. More UPGRADES & Options are LISTED BELOW. PRICES ARE SUBJECT TO CHANGE. STEP 2 - "IMPRESSION" You only live once, so rest in style. 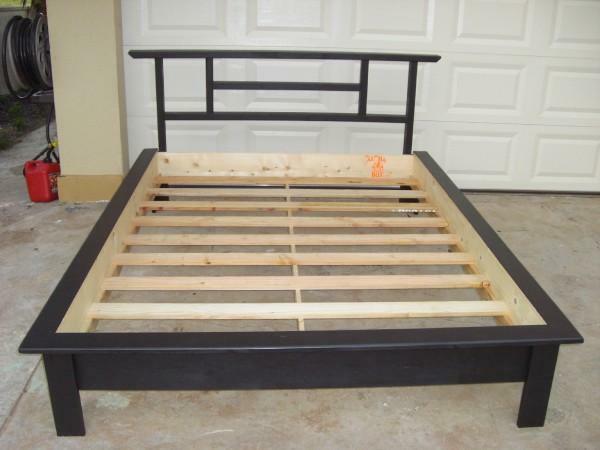 Choose a Platform Bed Frame Design Style to Customize. (add this price to your BASE Price listed above from Step #1). STEP 3 - "FINISH what you start!" by choosing your colors. $25.00 Customer Custom Paint- Provide your own Paint or custom color. Additional $25.00 Service Charge Per Bed. 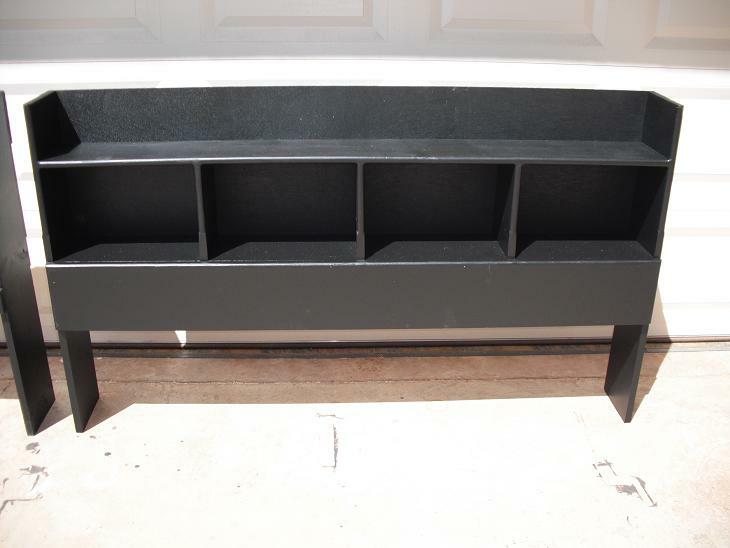 $75.00 Custom Paint and Color Match - Select a custom color match paint to your current furniture or item. We match and custom mix paint for you. $50.00 & up. 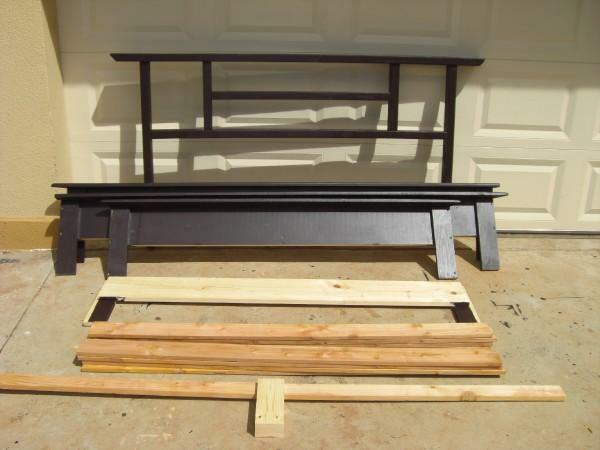 Custom Wood Staining - This upgrade option will delay your order by 2 weeks. Additional $150.00 Service Charge Per Bed and $50.00 & up per Headboard. Please not the Staining Process takes along time. Please be patient if you select this option. Also note: A heavy stain odor warning. Please ask about the lingering odor that will permeate for about 30 days after. 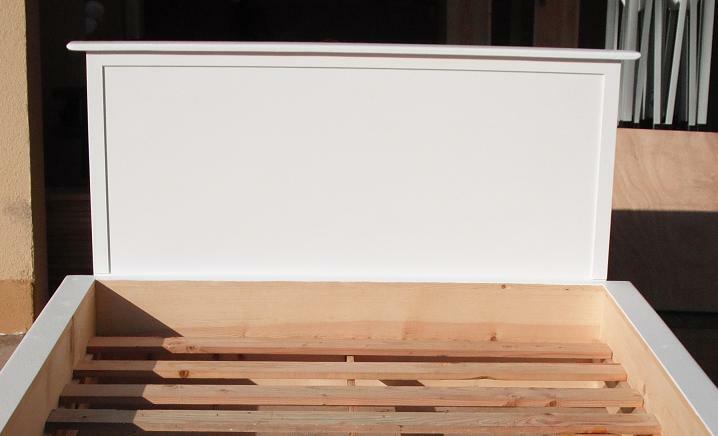 The backside of the headboard is NOT stained or painted. It is intended to be pushed against the wall and not part of the staining charges. Additional fee may apply. Ask if you have questions. STEP 4 - Choose your Optional Upgrade(s) and Feature(s). PINE PureBond Ply is NOW Starting 2017 the standard wood we use in the construction of the bed frames. Pinewood grain and knots patterns will vary in each bed. 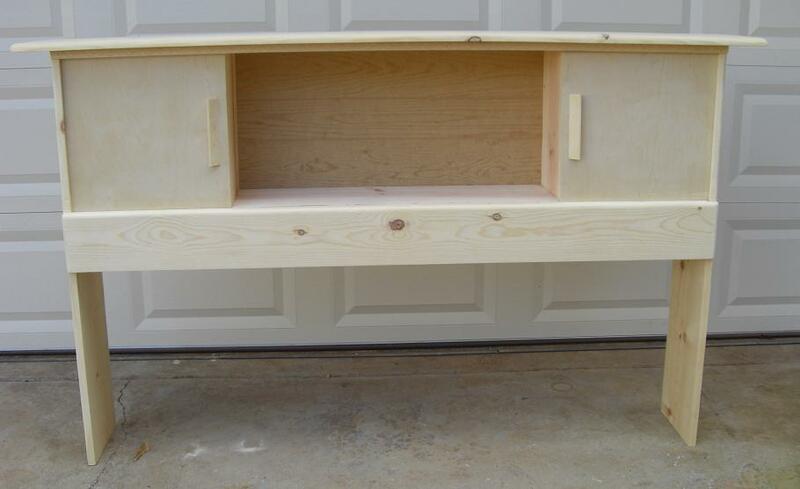 The random appearance of knots throughout the lumber makes it unique feature, however, the we do patch and sand all out all impurities of the lumber before painting or staining. MAPLE OR BIRCH Hardwood Ply has subtle and elegant grain pattern. Smooth with no Knotts. It is an exceptional hardwood and is extremely dent resistant to scratches (from pets or children), heavy duty and will last much longer, and most of all a must have if you select "Natural or Naked" wood finish. We call it our DRH "Dent Resistant Hardwood" Choice. Excellent upgrade if you have children or pets. When you chose this upgrade the sides of the beds will be replaced with DHR Maple Ply, but the legs and platform lip will remain in pinewood. OAK FINISH Hardwood Ply by PUREBOND made especially for furniture and cabinets. 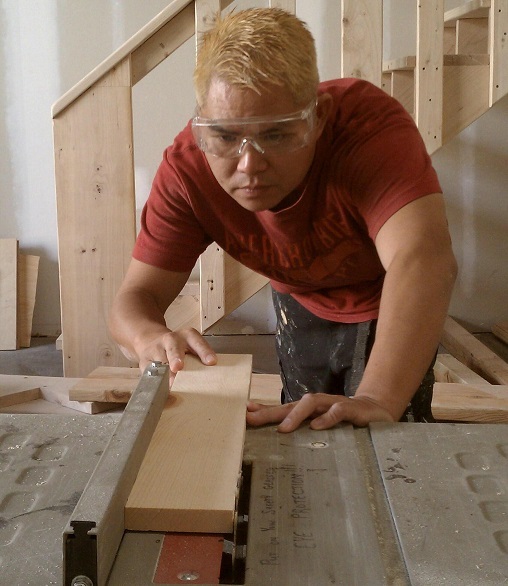 Professional Grade Lumber. Premium quality for making furniture. No toxic chemicals, formaldehyde free materials. Available now. SQUARED LEGS ROUNDED LEGS - Standard Feature on ALL Beds. Depending on the style of your Platform Bed selection, the average STANDARD Height is approximately 13" (Depending on Style of bed) from the BOTTOM (ground) to the TOP of the Rail. You can make it shorter (No Charge) OR you can increase the height up to 24" Taller. The upgrade fee is only $50.00 more. 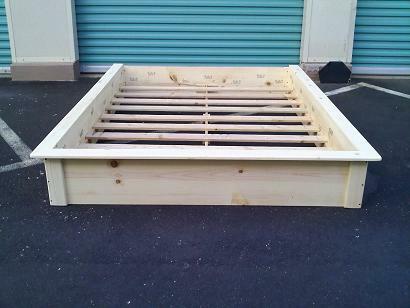 Clearance or Gap under the bed (if applicable) is about six (6) inches on standard TRADITIONAL Aloha Boy Style Platform Bed Frames with a 12" standard legs. 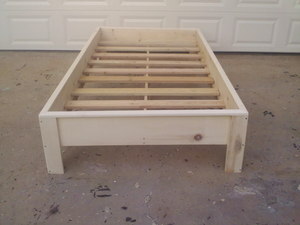 Your Mattress sinks in the bed approximately 2" inches (again depending on style of bed) and can be customized. 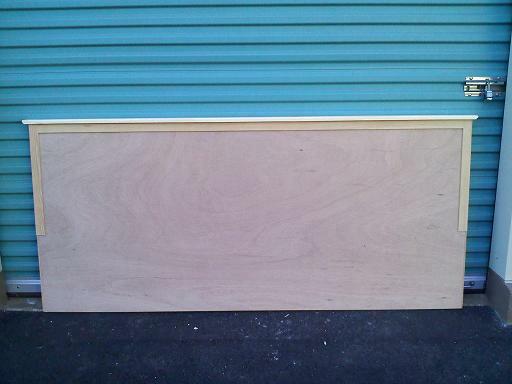 Standard Flat board Add $100.00 for ALL SIZES. A Flat Board upgrade is required for Memory Foam Mattress users. If you are currently using or plan in changing your mattress to the New Tempur Pedic or Memory Foam Mattress in the future, it would be in your best interest to anticipate the upgrade and have your platform bed ready when the time come. 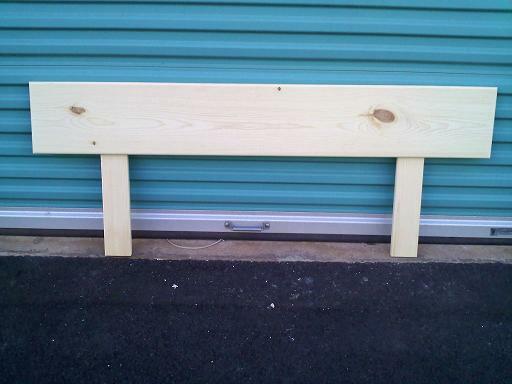 Memory foam cannot be used with the traditional slats and would require additional supports with a solid bottom. The traditional SLATS are for regular mattresses only. FOR MORE SELECTION AND DETAIL HEADBOARDS PICTURES PLEASE SEE LINK AT BOTTOM. STEP 5 - DELIVERY OPTIONS. DELIVERY & SET-UP, SELF PICK-UP, or SHIPPING TO ANOTHER ISLAND? The averages delivery fee is $75.00 for most areas on OAHU plus a set-up charge of $40.00 PER bed/item. Please refer to DELIVERY MAP for ESTIMATED prices. Final Price may change upon delivery. Additional fees may incur if accessibility is limited, on restricted Military Base, and/or in areas that requires additional expenses (parking pass, meter, etc.). There is NO ADDITIONAL FEES or CHARGES for SELF SERVICE PICK UP. However, All orders MUST BE picked up within 3 days of completion. Please bring a a few moving blankets, comforter, or something to wrap the bed in. It is recommended you bring ONE (1) Blank for Standards Beds and TWO (2) or more for orders that are KING size or with head boards. We are NOT responsible for damages incurred by self service pick up or orders not picked up within 3 days of completion. When you arrive at our facility, your bed will be fully assembled for your examination. 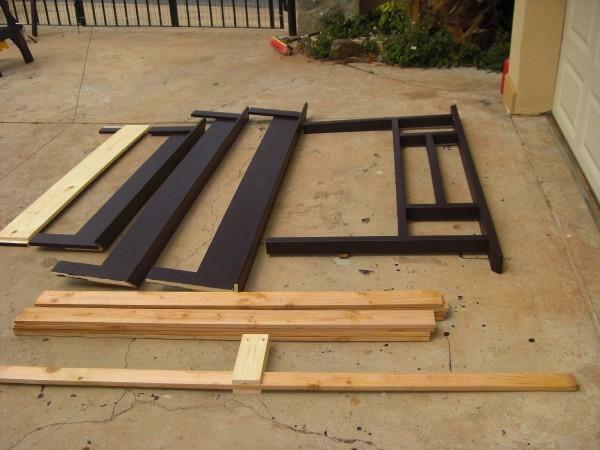 Your bed will be dissembled in your presence to ensure you have a good visual concept on how to re-assemble the bed. At this time you are encourage to ask any questions you may have on assembly. All our beds can be easy taken apart for transport. See pictures below. 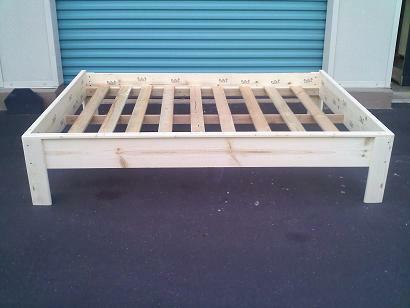 THE ALOHA BOY TRADITIONAL PLATFORM BED FRAMES BROKEN DOWN FOR TRANSPORT. THE ALOHA BOY TRIPLE BUNK BED FRAMES BROKEN DOWN FOR TRANSPORT. 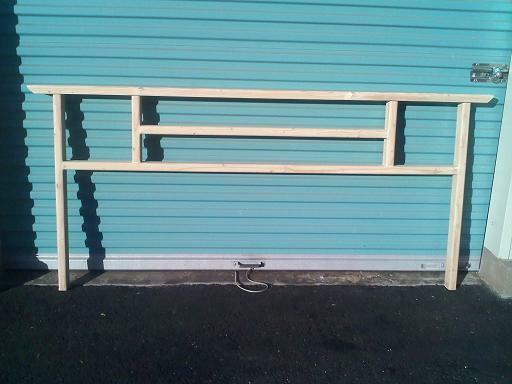 THE ALOHA BOY LOFT BED FRAMES BROKEN DOWN FOR TRANSPORT. SMALLER BEDS (Twin Beds) Can be taken in ONE (1) piece. They can easily fit in back of a standard size pickup truck bed. NEIGHBOR ISLAND SHIPPING. We now offer shipping to all neighboring islands. Majority of the beds are ship via Young Brothers in "Mixed lose item Cargo" containers. Currently we can ship your bed to: Hilo (East Hawaii) & Kawaihae (West Hawaii) AKA (The Big Island of Hawaii); Nawailiwili (Island of Kauai); Kahului (Island of Maui); Kaunakakai (island of Molokai); Kaumalapau (Island of Lanai). 3. Freight Bill: Charges ($50 and up). Total Average Shipping charges between $130.00 to $175.00. Each Additional bed is $75.00 there after. STEP 6 - Call me (808) 927-5347 to place your order! What Style of Platform Bed? Are you using a foam mattress? Do you want anything specialized? Delivery and setup, Self Pick up, or Shipping? Is this a House, Condo, Town House, Military Base or Gated Area? Do live in area that is not easy accessible? Is the delivery location have limited access for a delivery truck? For condo and associations, do you need to arrange elevators, inform security, or need access gate codes? STEP 7 - How to order. Fast and Efficient ! Now you know what you want... Let's do it! 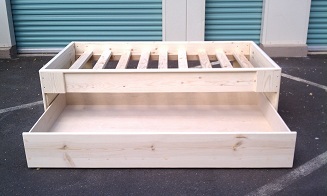 CALL ME at (808) 927-5347 to place your Custom Platform Bed Order! YOU: Hi James! I am ready to place an order. I like a Queen Size Bed, Standard 3" Platform Rails, Custom 18" Height, Traditional Island boy style, no headboard, rounded corners & edges, in Espresso, delivered to Pearl City. 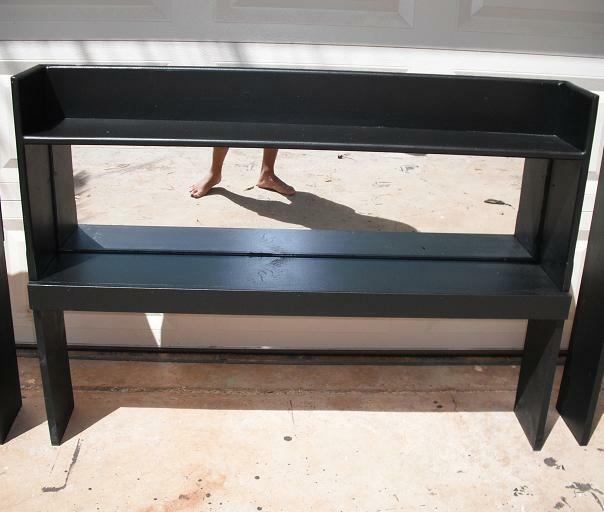 ME: Thank you for placing your order, I will confirm your order: Queen Bed $400.00, Standard 3" Rails, 18" Custom Height $50.00, Traditional Island Boy Style, No Headboard, rounded corners, Espresso Color, with delivery and setup to HAWAII KAI is $130.00. Your total is $580.00 plus tax. Your required down payment is $100.00. You can direct deposit, drop off in person, mail it, or use PAYPAL with a 4% Fee. 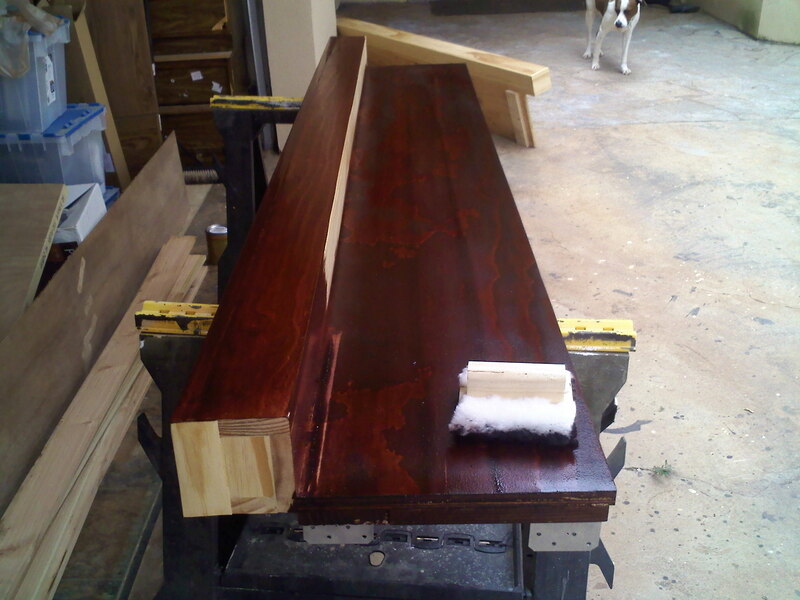 All standard (Natural wood, no upgrades) platform bed orders with FULL payment (not when I pick it up) made by Noon (Hawaiian Standard Time) are completed within 5 Business Day. Note BUSINESS DAYS.... Weekends, Easter, Memorial, Thanksgiving, Christmas, New Years are NOT Business Days. For your convenience we accept all major credit cards, as well as debit cards that carry Visa, Mastercard, American Express, Discover logos. We also accept cash and checks*. Customer may choose to pay via Paypal for internet deposits. ALL credit cards and Paypal transactions require an additional 4% Processing fee. A complete list of acceptable types of payments are listed below. *NO CHECKS ARE ACCEPTED FOR BALANCE DUES. Checks are okay for deposit but are not accepted as final payment. Check takes up to 7 days to clear thus you can pay any amount via check but balance dues must be in cash, credit card, or cashier's check only. ALL Custom Orders requires a minimum of $100.00 DOWN PAYMENT and is NON REFUNDABLE. Once production begins, you will be responsible for final payment. Due to limited space in our shop, all orders must be picked up within 7 days of notification. Any orders NOT picked up within 7 days of completion may run the risk of being placed as "ready to be sold" inventory to walk in customers and forfeiture of any down payments/product. (What this means is I will sell your bed to the person who can pay me to recover my cost and labor). Payments and deposit must be made in a timely matter. Beds are not completed until payment/deposit is made. Do not delay, make your payment today. By Mail, Sending your deposit by using United States Postal Mail. By Bank Deposit at ANY First Hawaiian Bank Branch (FHB). By Bank Deposit at ANY Bank of Hawaii Branch (BOH). By Internet PayPal with 4% service fee. In Person at my shop location in Kapolei or Makakilo. Local Check or Cash. Return Check fee is $30.00. Cashier Bank Checks (NO PERSONAL CHECKS FOR FINAL PAYMENT ACCEPTED). .999 FINE GOLD, SILVER, PLATINUM, OR PALLADIUM Bullion at Spot Price at time of payment. Barter and trade Via Prior Arrangements. The Aloha Boy does not claim any connection with Trademarks or Logos used, other then to express acceptable types of payments and locations to make payments. Trademarks and Logos - All Rights Reserved & Acknowledged to the registered to companies.